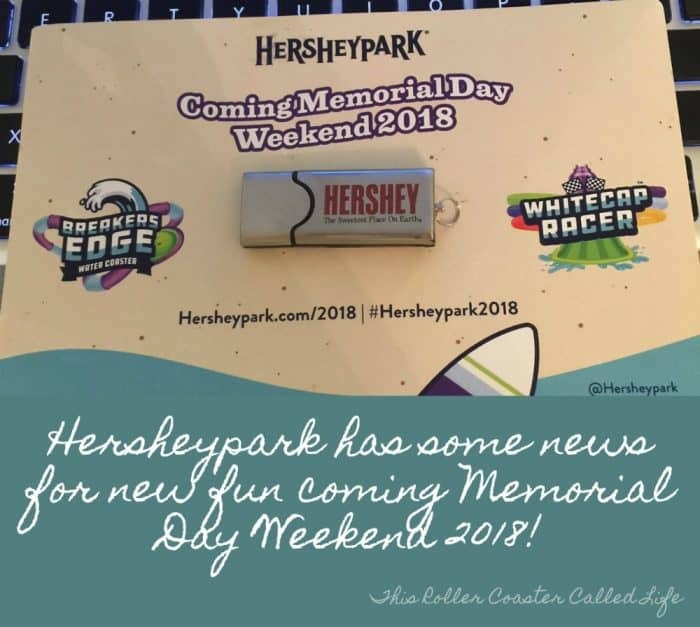 Hersheypark has been “teasing” us about something new coming in the summer of 2018 for a few weeks now, and I’m happy that the wait to find out is now over! 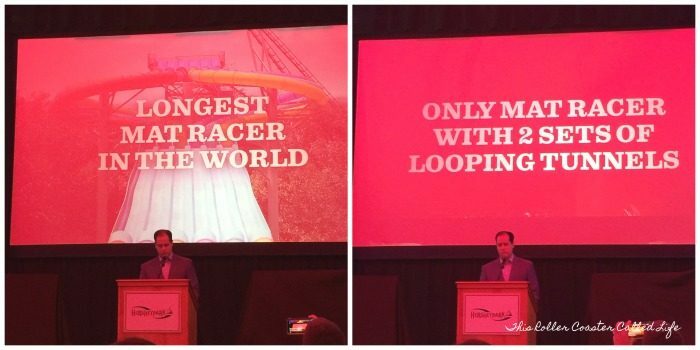 Hersheypark made the announcement about the new attractions this morning, and Don was on hand to find out the details. This was a BIG deal to this family of Hersheypark fans! 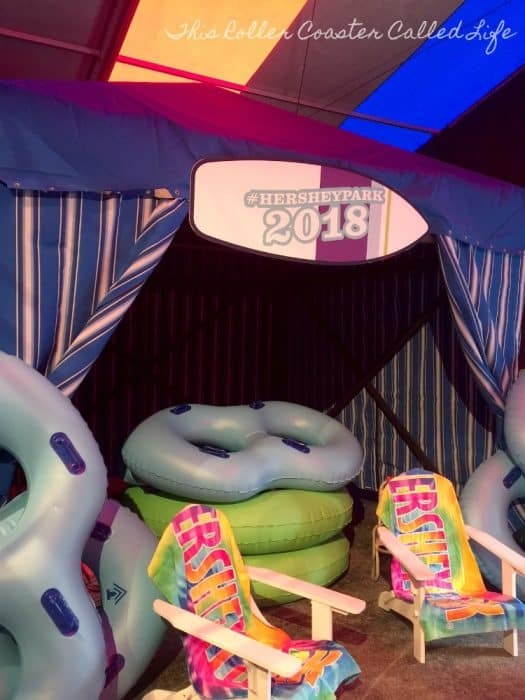 One of the first clues was that the new attraction was going to be added to The Boardwalk (Hersheypark’s water park). The area for today’s announcement was themed very well for the beach-y addition to come! 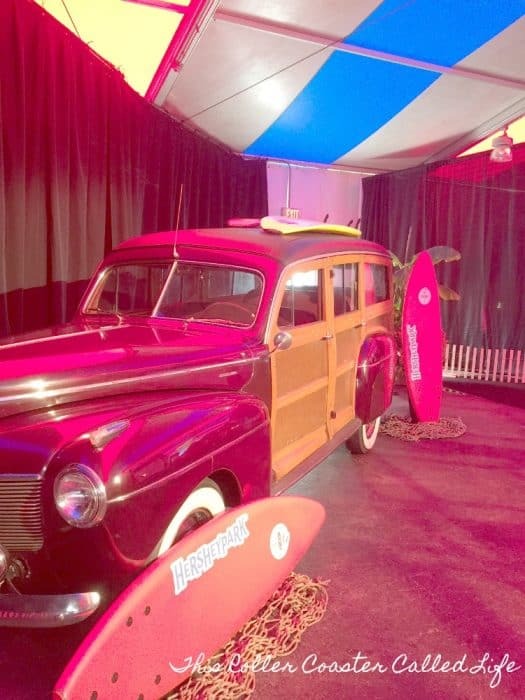 Of course, this setup seemed like a sort of giveaway; however, there were still surprises to be had when announcement time came because The Boardwalk is actually getting TWO new attractions and not just one! 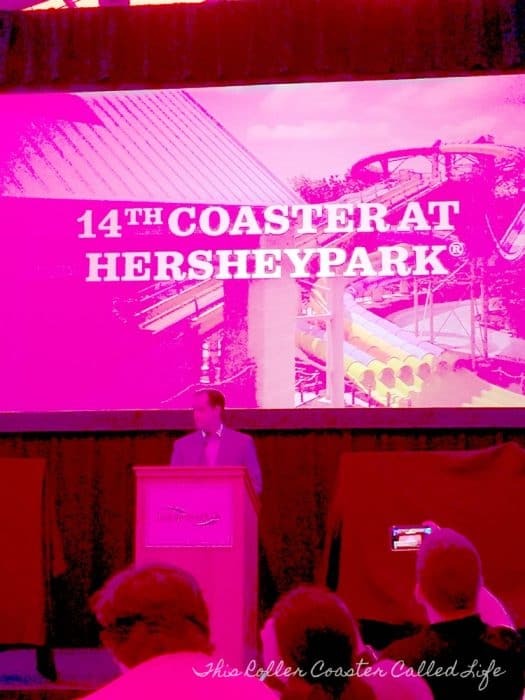 Up first, Breakers Edge Water Coaster was announced as Hersheypark’s 14th coaster! Wow! Doesn’t that sound like a COOL coaster! I know I can’t wait to try out this water coaster! I’ve ridden a water coaster before, but it used water as the propulsion. I can’t wait to see how using the hydromagnetics work might differ from what I have ridden in the past. Next up was the Whitecap Racer. This one really piques my curiosity! I’ve never ridden anything like this before and am looking forward to trying this one, too! 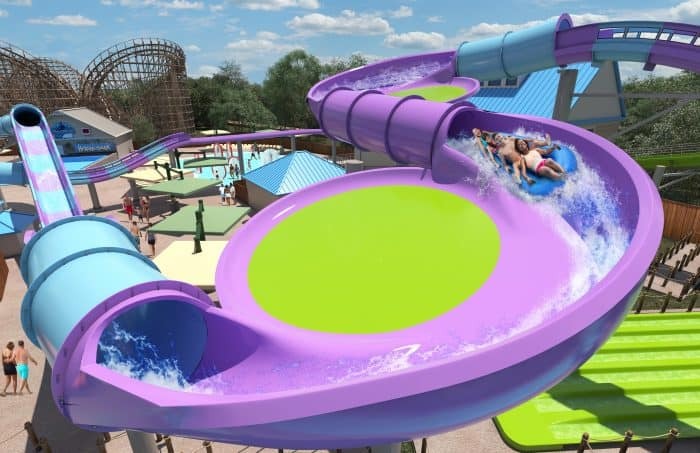 Don’t those sound like great additions to Hersheypark for next year? I know we can’t wait to check this out next summer! What about you? Not quite sure? Make sure to take a look at the animatic video below! 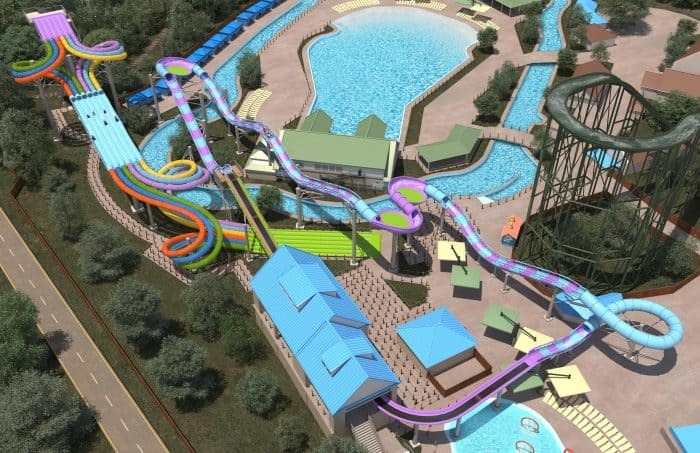 Here’s a bird’s eye view of how the additions are projected to fit in with the current water park setup! This new ride looks incredible! I would love to take the kids and go on vacation. We would love to check out this Park and have fun! These rides at Hershey park sound great! I hope I can take my kids to Hershey Park during our next soccer tournament up there. Looks like a lot of fun. These sound great! I would love to visit Hershey Park! The new rides look like a total blast. We will have to check this place out thanks for sharing. We haven’t been to any water parks. 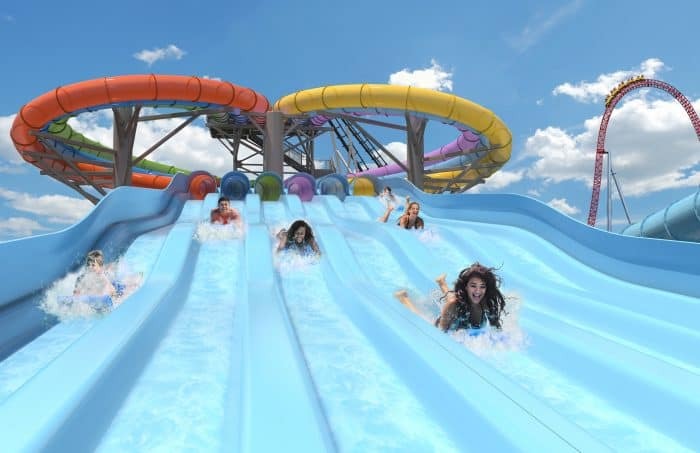 Hershey Park sounds so nice and the new rides sound so fun. We must try it! I’ve hersheypark is really fun. I’ve been meaning to go and visit the entire area actually. I’ve never been to Hershey Park. Looks like a fun place to visit although I’d probably leave the coasters to others. 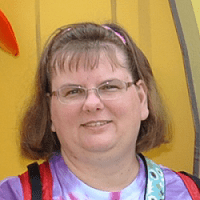 Our daughter visited Hershey park several times with a friend as a teenager. They had a fabulous time. I am sure the new rides are super fun. What fun rides! These look like a great time! I’ve always wanted to go to Hersheypark. Oh–that looks super fun! We’ve gone to Hershey Park before but it has been awhile! This is one of the parks I haven’t been to and have been meaning to visit. Next year sounds great. Just in time for the new rides!